Recently I purchased a new baitcasting reel to try on my local pond. I’ve watched countless YouTube videos showing anglers how to use a baitcaster, and while I had very limited experience with them, I’ve been angling for years and figured I was ready to try something a little more difficult. Well, after about a day of tangles, hangups, and backlashes in the reel, I vowed to never use baitcasters again. That is, until the mood strikes me again to give them a try. 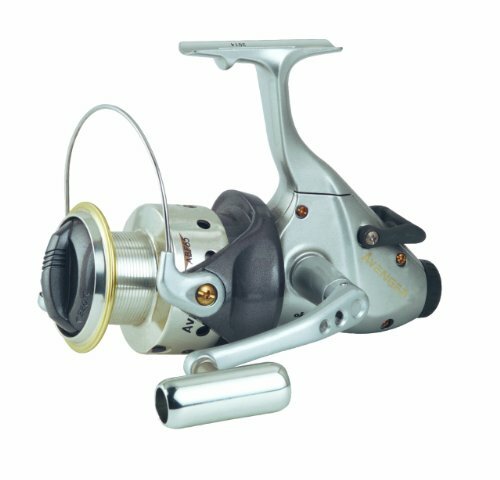 But my experience opened my eyes to all the types of fishing reels available to anglers, so I would like to introduce each one here. Armed with the right information, you’ll be able to make an educated decision and buy the right fishing reel for your fishing experiences. Some are meant for beginners, while others are tailored for experts. Nevertheless, there’s a right fit for you out there, you just need to know what you like. If you started fishing as a child, you probably vaguely remember the reel you used. It no doubt looked something like this. The easiest reel to use, the Spincast is a great introductory fishing reel that gets the job done. With a push of the button and flick of the wrist, your lure is in the water and ready to attract some fish! Its mechanics are super simple and require little effort, so if you’re a casual angler or a newbie, this is the reel to start with. Plus, their prices are relatively low, so losing a reel or rod wouldn’t break the bank. If you fished when you were a kid, you probably used a he-man or barbie or spiderman fishing reel. Those reels are fun adaptations of the standard spincast reel. There are drawbacks to this type of reel, however. First, designed to be a beginners reel, the spool inside is typically shallow, only allowing much lighter test line and not much of it. If you’re targeting anything beyond a panfish or small bass, you should look into spinning reels or baitcasters. Because this is an inexpensive series of reels, the parts inside are not very durable. The drag is less than adequate, making it difficult to retrieve lures with any kind of finesse. Additionally, the gears are either cast metal or white plastic, and prone to break over prolonged use. Definitely not meant for serious fishing. 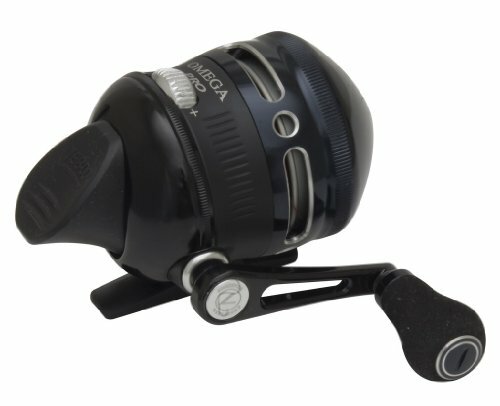 I would recommend this reel for beginners and casual anglers. If you don’t mind watching bobbers all day, this is for you. For those of you ready to take on bigger fish, you might want to consider a good spinning reel. The spinning reel, or open faced reel, is the most popular reel on the market today. With a variety of uses and countless selection to choose from, nearly all anglers can find a spinning reel to use regularly. This reel is situated on the bottom of the rod, or blank, whereas the spincast reel and others sit on top. You can tell a spinning reel rod by the size of the guides. The guides are much larger to compensate for the large loops the fishing line makes during casts and retrieval. Operation of the reel is pretty simple. To cast, you prepare by opening the bail, or the long metal bar on the front of the reel, surrounding the spool. From there, you clench the line with your finger to the blank to keep the lure from falling too soon. For a more in depth instruction on how to use a spinning reel, check out our page on the process. A spinning reel gives you a more solid construction than the spincast reel, while also giving you more options for line to use. Spinning reels are constructed very small for ice fishing, panfishing, and other small fish species. They are also constructed to be used in the open ocean, tackling trophy striped bass, mahi mahi, and other medium sized ocean fish. They require some skill to use, but can be used in all varieties of water for all varieties of fish, which makes these reels the most popular. 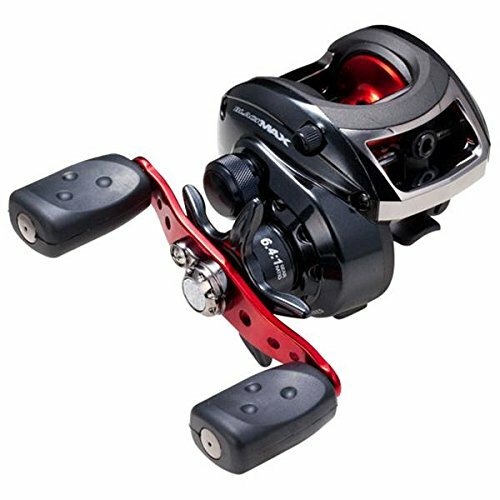 The Baitcasting reel, or the most advanced reel among the big three choices. 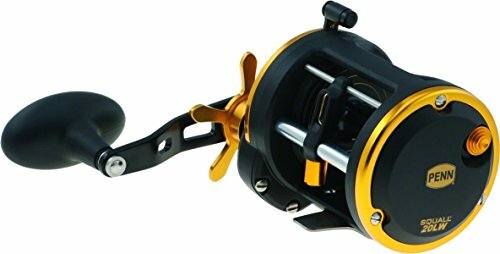 This reel is also known as the conventional reel, as its design has been around for a very long time. Basically, this is your reel to choose when you’re proficient with the other designs and are specifically targeting bigger, stronger, fish. The baitcaster gives you unparalleled strength and durability, as well as incredible cast accuracy. With a spool that orients left to right and a larger “basket,” baitcasting reels can handle much heavier, much stronger forms of line. This is necessary when you fish thick cover or are targeting monster fish. Operating a baitcaster is difficult as you control the release of the line with your thumb. Making casting a very manual process, anglers must master how much pressure to apply on the spool or they will face backlash on the spool which almost always ends with nasty knots that will need to be untied. You also do not want to use light tackle with a baitcaster, as they are designed for heavy bait. Light tackle will not pull the line well enough which would drastically limit your casting range. Cost of a baitcasting reel can vary, from very affordable to incredibly expensive. A baitcaster is the preferred reel of professional bass anglers, so their equipment reflects an increased price point because of that. You can review some of our best choices for baitcasting reels here. Trolling reels are a lot like baitcasting reels. They’re designed the same way, essentially, but are not meant for casting. They traditionally take on a more rounded profile allowing more room for line. Trolling reels are designed for big game fish, like large lake trout, catfish, as well as giants in the ocean like marlin. You can find more information on the trolling reel here. In this detailed walleye fishing guide for beginners you will learn how to catch walleye in winter and all year long. You will also learn about the best equipments for walleye fishing and expert walleye fishing tips to make your next fishing adventure a success.